The arterial circle and arteries of the brain. 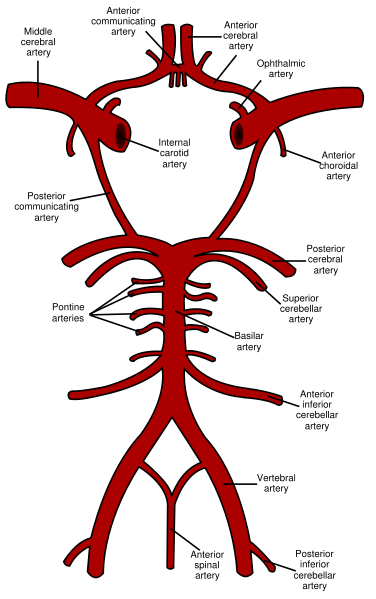 The posterior cerebral arteries (middle of figure) arise from the basilar artery. In human anatomy, the posterior cerebral artery is the blood vessel that supplies oxygenated blood to the posterior aspect of the brain (occipital lobe). It arises from the basilar artery and connects with the ipsilateral middle cerebral artery and internal carotid artery via the posterior communicating artery. The postero-medial ganglionic branches are a group of small arteries which arise at the commencement of the posterior cerebral artery: these, with similar branches from the posterior communicating, pierce the posterior perforated substance, and supply the medial surfaces of the thalami and the walls of the third ventricle. The posterior choroidal branches run forward beneath the splenium of the corpus callosum, and supply the tela chorioidea of the third ventricle and the choroid plexus. 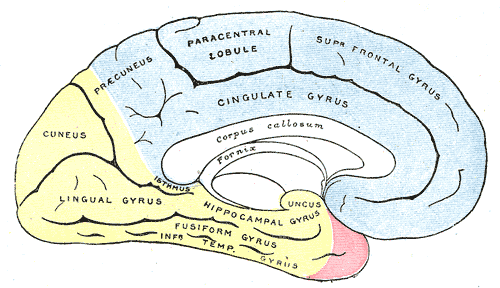 The postero-lateral ganglionic branches are small arteries which arise from the posterior cerebral artery after it has turned around the cerebral peduncle; they supply a considerable portion of the thalamus. 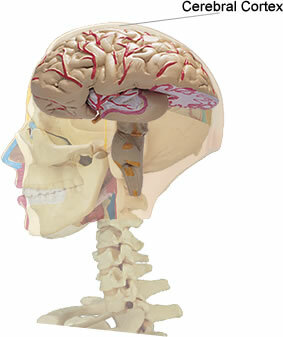 Because the artery supplies much of the occipital lobe, occlusions can lead to deficiencies in visual perception. 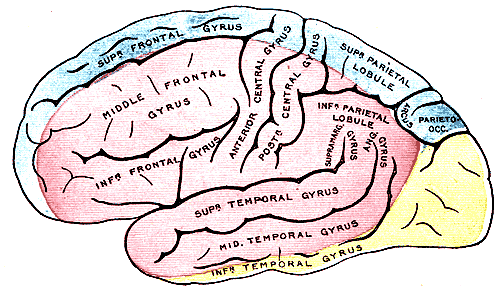 Medial surface of cerebral hemisphere, showing areas supplied by cerebral arteries. This page was last edited 13:59, 6 September 2012 by wikidoc user WikiBot. Based on work by Alexandra Almonacid and wikidoc anonymous user Arcadian.